Finally, the RMC Single Rail is here! 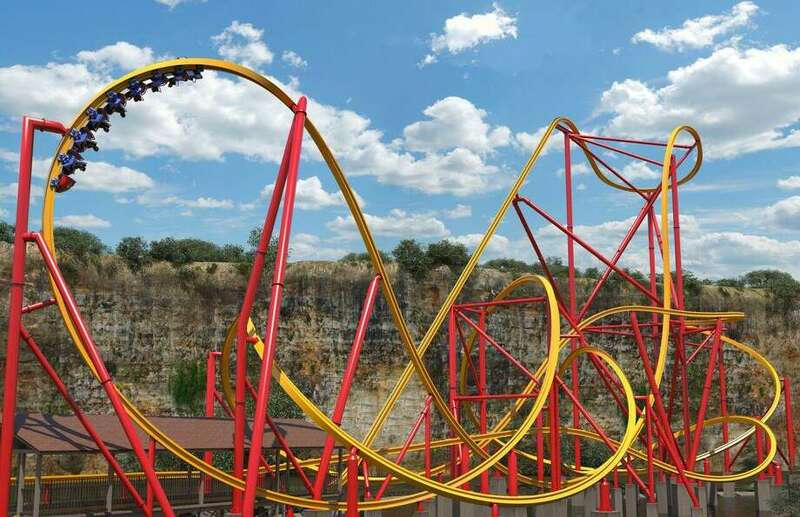 Wonder Woman will join Batman and Superman with her first roller coaster ever, debuting next spring at Six Flags Fiesta Texas, the San Antonio park announced Thursday. Construction on the Golden Lasso Coaster began in July, park president Jeffrey Siebert said in a phone interview. The ride is slated to open in early March, in time for the start of the summer tourism season. This drop is going to be totally awesome. A full-length drop at 90 degrees will be stellar. The pull up into the first inversion looks to be awesome as well. All I'm hoping at this point is that the ride has a different restraint than their wooden coasters. Some of these transitions look lateral-heavy in the animation, which are uncomfortable with the current restraints. No terrain use is just awful. To put a 'parking lot coaster' in that setting is so disappointing. Interesting choice for the park, the capacity is awful and the ride doesn't interact with the quarry wall at all. Get there early each day to make sure you ride before the crowds load the queue up.